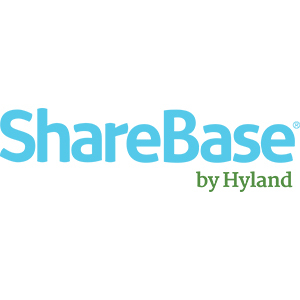 ShareBase by Hyland is an enterprise file-sharing product that provides secure, cloud-based sharing while ensuring your organisation retains ownership and control. With ShareBase, administrators create and manage approved accounts for each deployment, with the ability to manage users from within your identity provider (IdP) product. This ensures your organisation retains ownership of any shared information. When users leave your organisation or change roles, administrators can easily revoke or transfer rights, mitigating the risk of unauthorised access and ensuring continuity during personnel transitions. Administrators can also restrict sharing by controlling maximum file-sharing permissions and expirations, either for all users or specific user groups. Additionally, they can limit external sharing and create libraries of corporate content over which they have complete control. ShareBase is hosted in a cloud specifically designed for business content management, utilising data centers strategically positioned around the globe. Your IT department will choose in which region and data center your information will be located and backed up. Your corporate data will never be co-mingled with that of other organisations. Every ShareBase customer receives unique encryption keys, protecting your information from unauthorised access. ShareBase is created by Hyland, a company with more than 25 years of expertise in business content solutions. Our enterprise information platform, OnBase by Hyland, is recognised as one of the top in the industry. We used the experience gained from developing OnBase as a foundation when building ShareBase. We also offer specific interactions between OnBase and ShareBase that automate sharing of OnBase content and provide a complete enterprise content suite to our customers. Moreover, ShareBase provides public RESTful APIs to integrate with any number of applications within your organisation to extend their capabilities to include internal and external sharing and collaboration. User adoption is essential to setting any corporate standard, and ShareBase is secured for IT but optimised for user experience. ShareBase provides a simple experience to share content securely. Users can set permissions per each share of each document; leverage password protection for external shares; and set shared documents to expire. Moreover, users can access content and share from anywhere, using a web browser. Windows users can even access their own content offline from their desktop and subscribe to specific shared content for offline access. Leveraging tagging capabilities and familiar folder structures, users can personally organise owned content for easy retrieval. ShareBase also improves collaboration. Users can easily edit files directly within the file’s native application, with each saved change creating a new document version in ShareBase and giving all users with the appropriate permissions easy access to all document versions alongside each file. With intuitive chat features for commenting, ShareBase tracks related conversations and allows users to subscribe to notifications as they collaborate on content. Additionally, ShareBase provides an uneditable activity trail leading to improved insight throughout collaboration as well as improved corporate security. ShareBase is designed corporate-first and enterprise-ready, built to be your corporate sharing standard.